What a night! 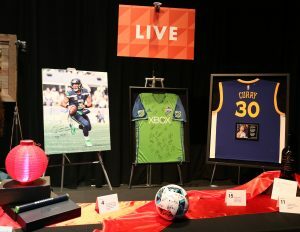 CONNECT, NW Children’s Foundation’s Gala & Auction on April 28, was a rousing success. Our guests’ generosity produced record-breaking results: We raised more than $790,000! This paves the way for us to distribute $1M in life-changing grants this year. The delicious food from Chef John Howie, John Curley’s colorful banter, and the energetic bidding were outstanding. Our most heartfelt thanks goes to the generous attendees who opened their hearts to change the lives of children and families. You are connecting children to a more hopeful tomorrow – thank you! NW Children's Foundation © 2019, All Rights Reserved. NW Children’s Foundation is a 501(c)3 tax exempt organization.